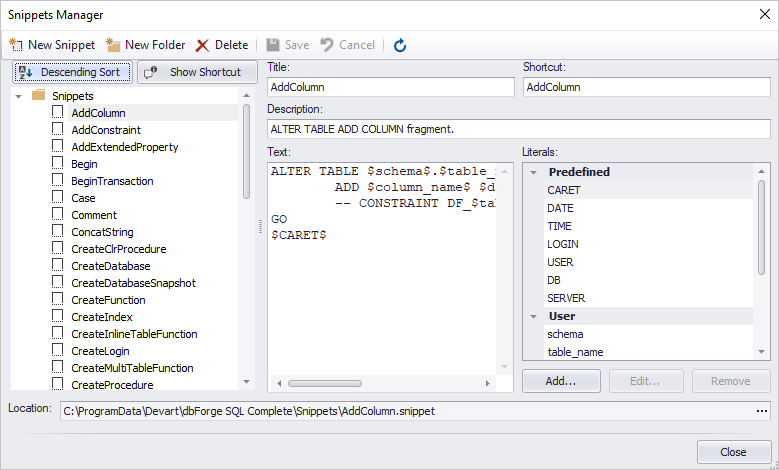 The Devart team brings together the interests of its clients and best usability practices in a new version of SQL Complete 6.0. Read on to find out what useful features we have prepared for you in the new release. 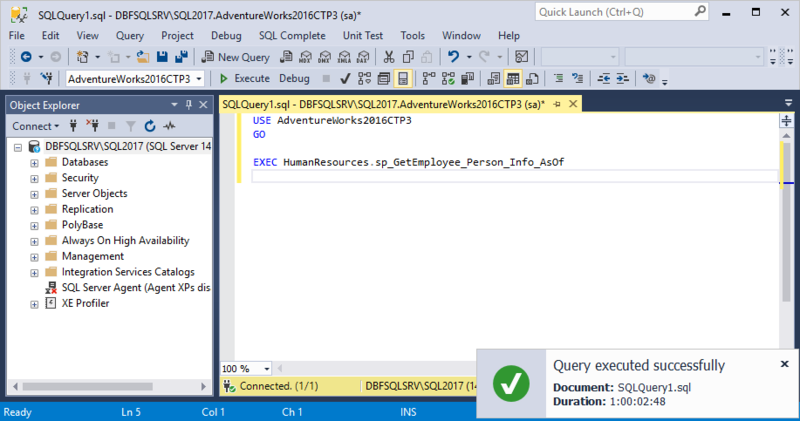 The release of SQL Server 2019 was announced just a little while ago, but we’ve managed to support it in this release of SQL Complete. 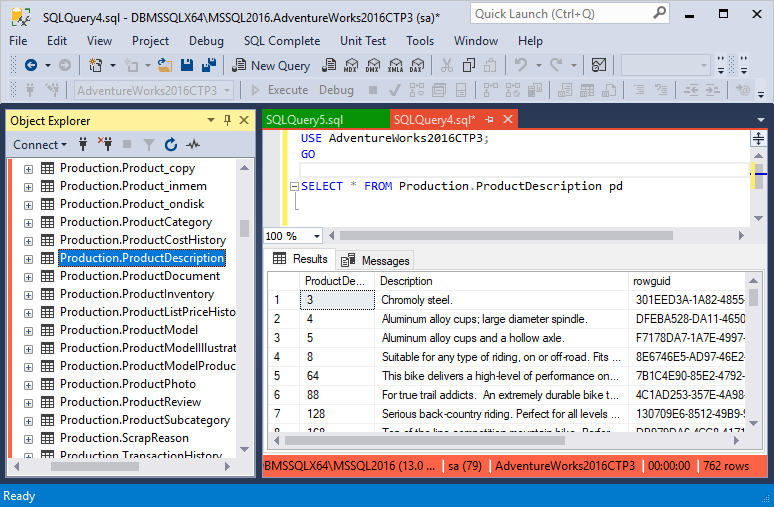 SQL Complete can now be seamlessly integrated into the most recent SSMS 18. A keyboard shortcut Shift+Alt+F is assigned to the Find command, which calls the Search panel in the grid. 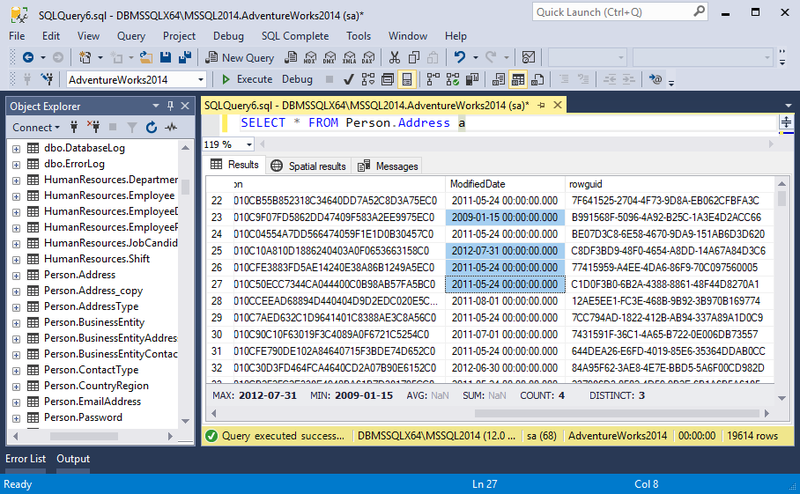 If a query is running more than 23:59:59 hours, days are added to the time in the Execution Notification. You can switch between the titles and shortcuts of snippets and sort them in ascending/descending order to quickly find the one you need. 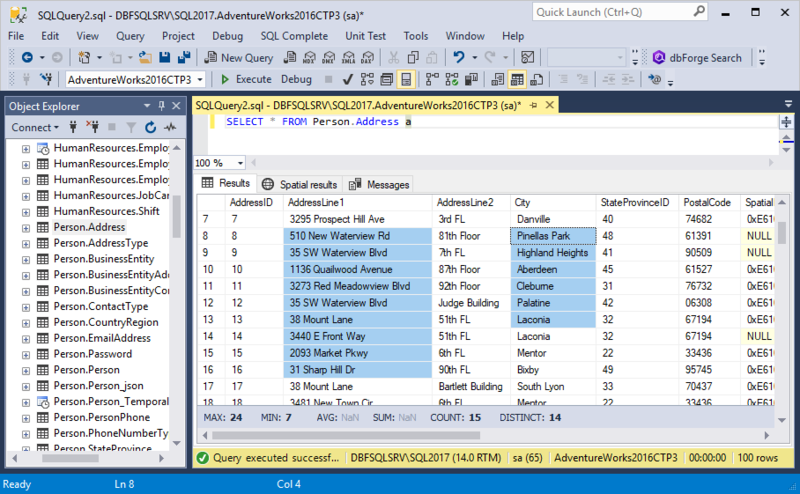 SQL Complete now counts the aggregate values not just for one column selection but also for multiple columns of the same data type. The Grid Aggregates row now shows MIN/MAX aggregate values for the date/time and string data types. 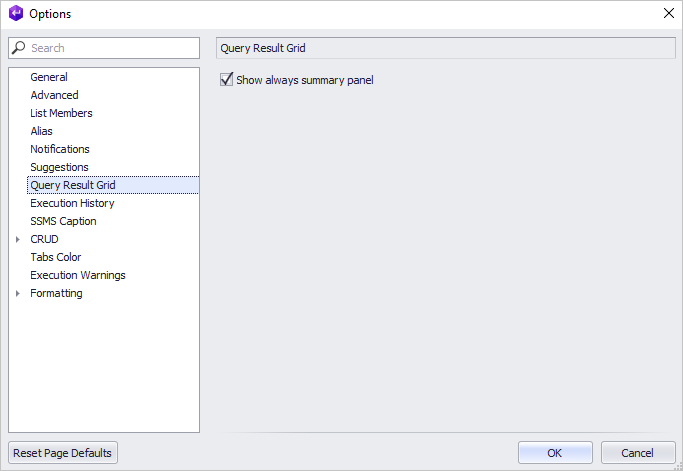 To make the Grid Aggregates row permanently visible, open Options, navigate to the Query Result Grid tab, and select Show always summary panel. 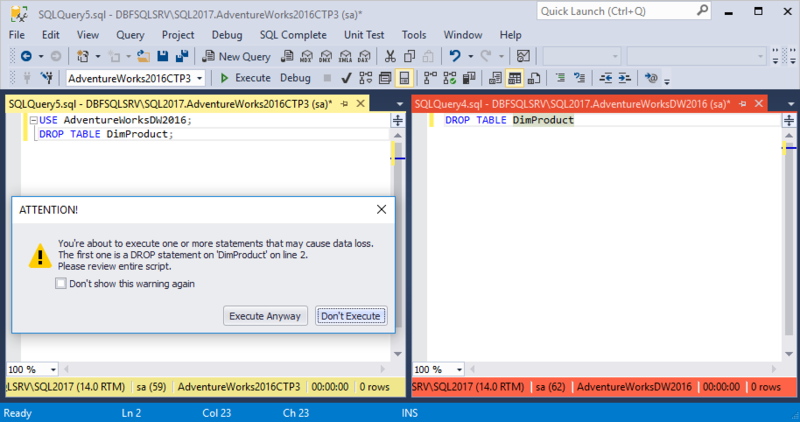 An execution warning will appear if you try to drop a table/database of a certain environment category. You may also disable the warnings for a certain part of a script as specified in the bottom of the Execution Warnings window. 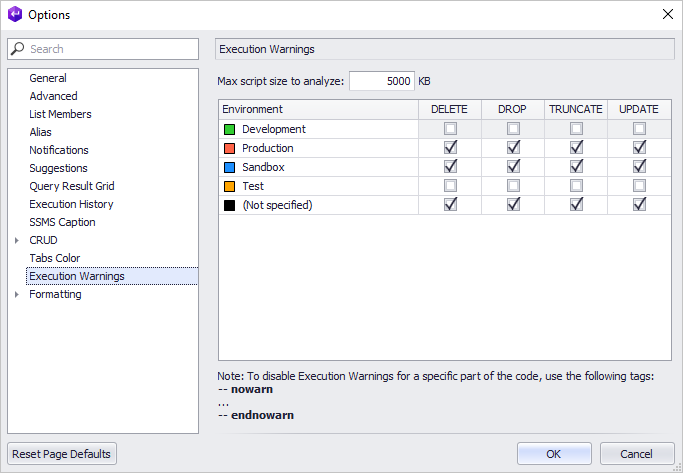 Moreover, SQL Complete analyzes every USE statement and prompts an execution warning if the statement refers to a database of the environment for which the execution warning is set. 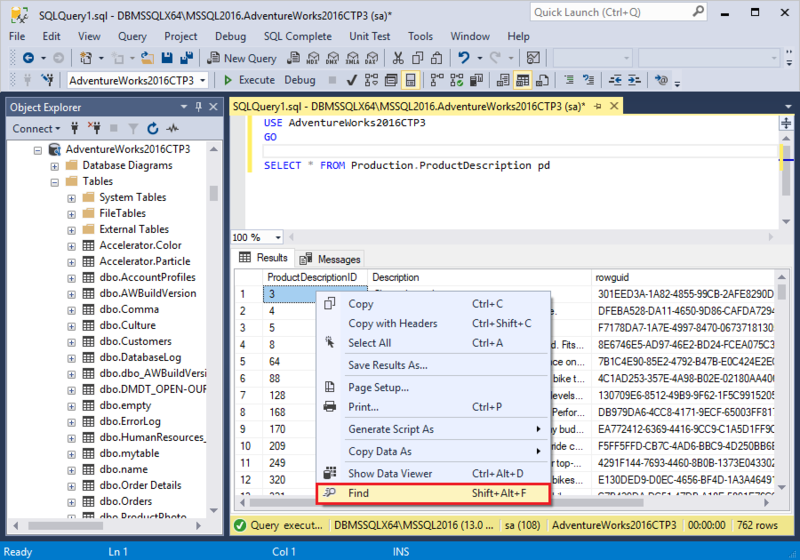 You can quickly determine which connection is used by a current tab as the tab coloring is now concurrent with the status bar and Object Explorer colorings. The color may be associated with a server node, moreover, different colors can be set to databases residing on the same server. 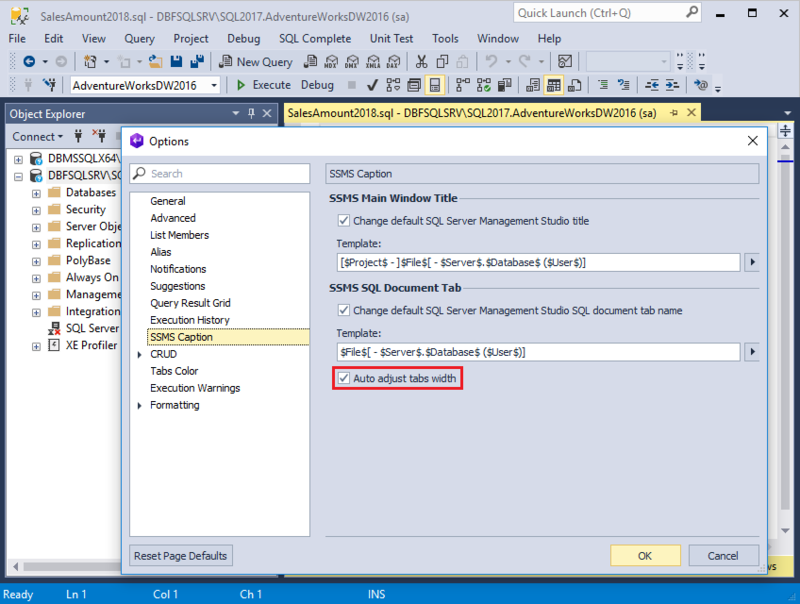 You can shorten the name of SQL documents by excluding unnecessary portions therefrom (such as sever and/or database name) so that multiple tabs could neatly fit into the tabs pane.